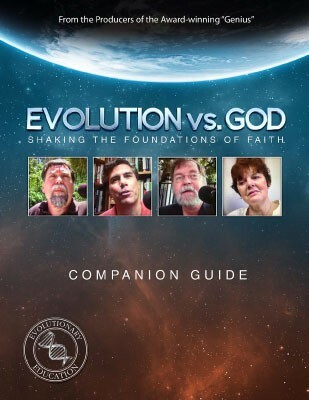 This is the download page of a 24-page Evolution vs. God Companion Guide, with questions for reflection and discussion. 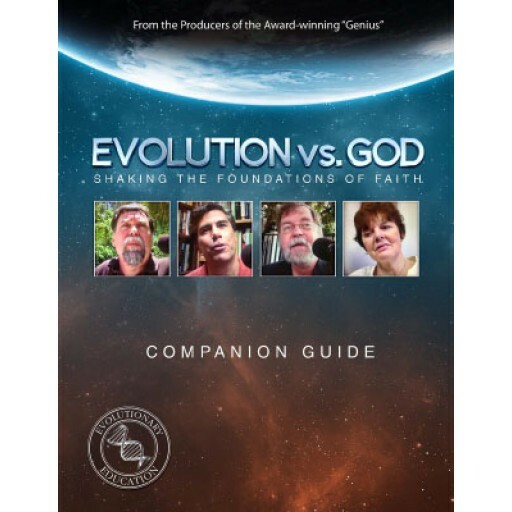 This is the download page of a Evolution vs. God Companion Guide, with questions for reflection/discussion. Part 1 provides more information about evolution, arming you with additional evidence to refute the statements made by the professors and students on the video. Part 2 will help equip you to share the gospel confidently and biblically. Includes a fascinating "behind the scenes" write-up of how Ray managed to get such unique interviews with evolutionary scientists.